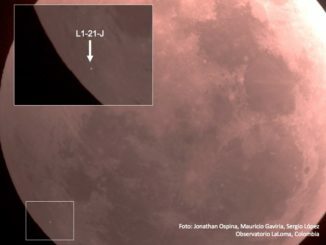 Amateur and professional astronomers alike captured the flash generated by a small meteoroid crashing into the moon during the January lunar eclipse. 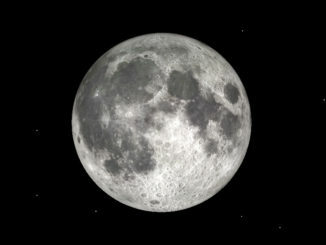 On 31 January we experience the second full Moon of the month, which by one definition makes it a Blue Moon. 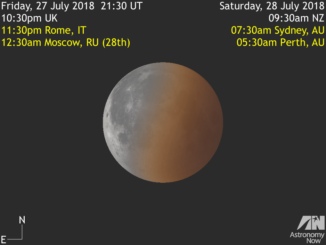 However, for observers in north-western North America, Oceania, East Asia or central and eastern Russia, this full Moon will have a decidedly reddish hue since it will be immersed in the Earth’s shadow during a total lunar eclipse. 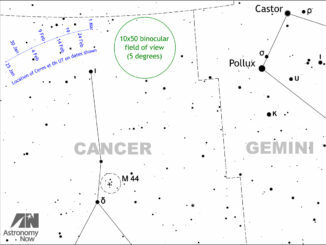 If skies are clear in Western Europe on the first evening of 2018, be sure to glance up at the almost full Moon in the constellation of Gemini. 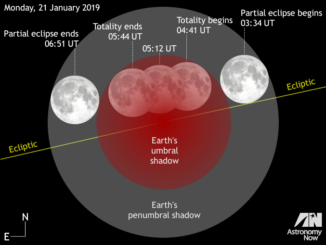 If it seems a bit larger than usual then you’d be right, for the lunar orb is at its closest for the year, making the full Moon of 2 January a supermoon. 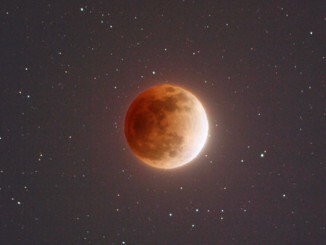 Astronomers circling the North Atlantic and in South America were treated to a spectacular total eclipse of the Moon that occurred at prime time for US-based stargazers Sunday night, 27 September and in the early hours of this morning for observers in Western Europe. 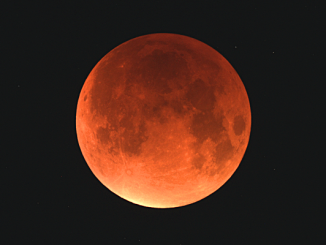 It is a sad fact that overcast skies will spoil parts of this supermoon total lunar eclipse for some of you, but remain optimistic that your home sky will be clear! 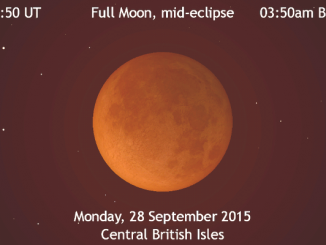 However, don’t despair if you’re clouded out — you can watch it online here! 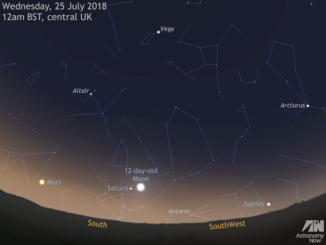 NASA will live stream the event from at least 1am—4:30am BST on Monday, 28 September, which is 8pm—11:30pm EDT on 27 September. 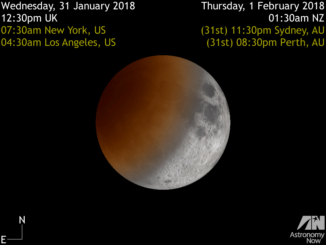 While you probably don’t relish the prospect of waking up in the small hours of most Monday mornings, you will want to set your alarm for 2am BST on Monday, 28 September for this month’s showstopper celestial event — a rare total lunar eclipse of an unusually large ‘supermoon’ visible in its entirety (weather permitting) from the British Isles!